We are a luxury wedding stylists based in the heart of Essex . Providing bespoke full venue décor solutions that will add the “Wow” factor to your wedding or event. We supply and install Starlight Dance Floors, Starlight Backdrops, Giant Illuminated Letters, Photo Booths and much more. Get in touch for a Free Quote and let’s discuss your needs today. 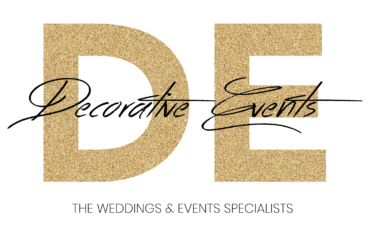 At Decorative Events we pride ourselves on offering our clients Luxury Venue Décor Packages at affordable prices, so whether you’re having an event for 10 people or a large wedding for 5,000 we can bring our magic to your surroundings.